Manage process, properties, and people effortlessly. We built the most configurable and powerful real estate system with you in mind. See why thousands of teams use Shape Real Estate to close more deals, boost client retention, and keep their teams in sync. "With Shape, everything is made simple and easy to understand. Their customer service is quick and efficient if I ever need help with anything in the system. Before Shape, I was using multiple systems, but now everything is one place. My leads are organized, and everything is tracked with tags. Added bonus: Shape connects to your calendar and emails." Your team needs a system that builds strong relationships with potential and current clients alike. Shape gives you a powerful solution to gather the info you need, follow up at the right time, and build connections with clients for years to come. Send perfectly timed follow ups, build nurturing drip campaigns, automate status updates, and more. Shape’s email automation frees up valuable time and helps you convert 7x more clients. 82% of text messages are read within 5 minutes, and Shape helps you stay top of mind with powerful SMS tools. Reach out to leads with pinpoint accuracy and context when it counts. Shape’s reviews and feedback tools allow you to elicit feedback from your top clients with ease. Instill trust in potential clients, generate more referral business, and boost your online visibility. Uncover what listings are selling for in a particular area and match your buyers’ criteria with new MLS listings. Eliminate guesswork, delight clients, and close more deals. 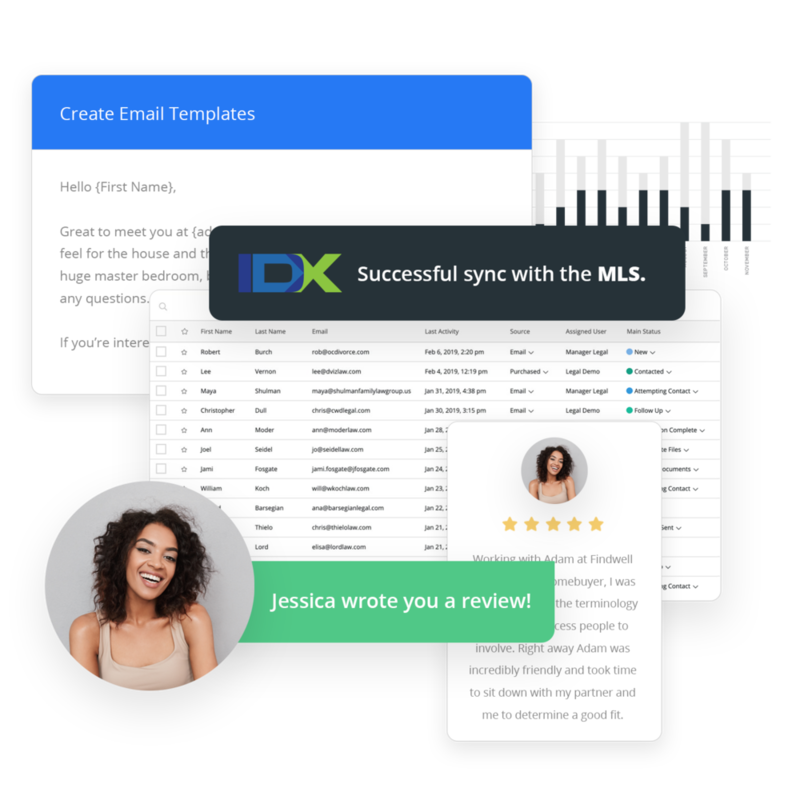 Shape simplifies your process from initial outreach to post-close follow up by using smart automation to help your agents and brokers achieve incredible speed to contact. Focus on the right leads at the right time and start achieving more. Score and assign quality leads to your team instantly. Manage all your incoming prospects from a single platform and never miss out on a possible opportunity. With click to dial, inbound & outbound calling, call recording, local presence, and more, your team gets the enterprise-level sales features they need to close every deal. Backlogged when new leads pour in? Shape can intelligently automate overflow prospects into a shared lead pool based on status or timeframe. New business will never go waiting very long! Shape uses intelligent automation to keep duplicate leads organized to your preferences. Get notified instantly when high priority prospects re-engage to make closing the deal more likely. In addition to great sales and marketing tools, Shape comes packed with a true and easy to use CRM that makes organizing and managing your real estate business easier than ever. View real-time Google Maps data within your Shape dashboard to always keep tabs on your current or upcoming listings. Track campaign performance, lead and referral sources, top performing agents and more. Build endlessly customizable reports that help you make more informed business decisions. Shape integrates with all the tools your team needs, like Twilio, SendGrid, MailChimp, Zillow, IDX Broker, Zapier, Ytel, and tons more. In addition, every plan includes a free integration to eSignature solution Sign by X. At Shape, we believe that great software is more than just the sum of its parts. To grow your business, you need a tool both you and your team can rely on, and that starts with an intuitive interface, a solid backend, and best in class data security. Our user interface is intuitive and easy to use. You and your team won’t need to spend countless hours on webinars or poring over training materials to use Shape.